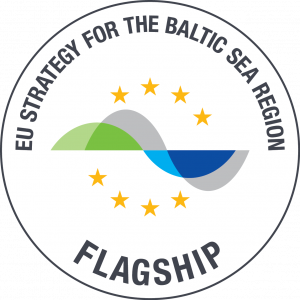 ECOPRODIGI has been adopted as one of the Flagships of the EU Strategy for the Baltic Sea Region (EUSBSR) on 17 April 2018. The Flagship status emphasises the importance of the project at wider European level and supports the project communications. 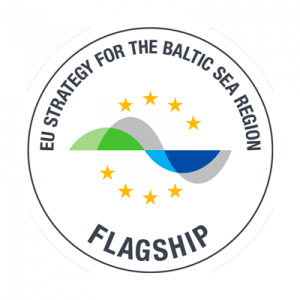 The EUSBSR Flagships demonstrate particularly well the process and progress of the Strategy and serve as pilot examples for the desired change in the Baltic Sea region. ECOPRODIGI was approved as one of the Flagships under Policy Area Ship, which is aiming at making the Baltic Sea region a model region in clean shipping. ECOPRODIGI is contributing to PA Ship and EUSBSR objectives by harnessing digitalisation to increase eco-efficiency in the Baltic Sea region maritime industry. The ambitious collaboration between research organisations and industry end-users illustrates that digitalisation of maritime industry makes ecological and economic business sense. In addition, ECOPRODIGI provides fresh, industry-driven data for better maritime sector policy-making and regulation. “This high-level recognition for ECOPRODIGI assures that we are heading to the right direction, and that we are indeed part of the solution developing ecologically and economically sustainable processes for the digitalising maritime industry,” states Project Manager Milla Harju from the Pan-European Institute at the University of Turku. The Flagship status is expected to support ECOPRODIGI communications significantly in reaching out to the political level, not only in the Baltic Sea region but at wider European arenas. The Flagship stamp guarantees that the highly-needed information on eco-inefficiencies and technologies as well as policy recommendations for the maritime sector reach the highest political level. More information about the EU Strategy for the Baltic Sea Region and its Flagships at the EUSBSR website.